Apple announced today that it is moving into the credit card industry, with promises to enhance the credit card experience via no fees, lowered interest rates, and attractive rewards. The company first showed interest with this industry when it launched “Apple Pay” on the iPhone, allowing iPhone users to use an app to pay for their purchases. The card is both digital and physical; users get a digital card where they can use anywhere that Apple Pay is accepted. They are able to track purchases, check balances, and see when their bill is due from the app. The physical card is also interesting because there is no number, CVV, expiration date, or signature in the card; all information is stored within the Apple Wallet application. In terms of rewards, Apple is not going the traditional points-based route. Instead, it gives rewards in the form of Daily Cash, which is applied toward the Apple Card whenever purchases are made. 2% cash back is given for apple pay purchases, 3% is given for purchases from Apple, and 1% is given for physical card purchases. It also boasts no late fees, annual fees, international fees, and lower interest rates. Apple seems to have taken the forefront on privacy concerns, as well. VP of Apple Pay Jennifer Bailey has said, “Apple doesn’t know what you bought, where you bought it, and how much you paid for it.” Furthermore, Apple is partnering with Goldman Sachs and MasterCard for payment processing. We’ve seen Apple revolutionize many of the industries that it pushes towards. While the Apple Card doesn’t seem game-changing yet, we will have to wait and see how Apple will evolve this new service. I think the Apple credit card will end up being pretty popular. I personally do not like the perks. 1% back on everything (standard), 2% back on ApplePay (decent, but some cards offer 2% on everything), and 3% back on Apple purchases (Amazon offers 5% on their card, 3% seems low). Of course, the people getting this card will probably not care about the perks. They probably want that sweet metal credit card with the Apple logo on it. I predict that this product will do very well. I real like that it has no fees, it shows you exactly how much interest you will have depending on how you pay, and they have real time spending analytics. They said that they will keep your data private, which is extremely rare in a credit card. There are definitely positives, but I most likely will not be getting this credit card. I haven’t done a lot of research or know much about the Apple card but just reading the summary you wrote doesn’t make it sound like Apple is pursuing something revolutionary. I see that something unique about the card is that its paired with Apple pay and they have very secure privacy features. However, I don’t know if the no data idea is viable only because that is something important to credit card companies. Overall I think the initiative is interesting but can’t picture the longevity just yet. I have done some research on this topic myself, and it seems that Apple is really pushing into services this time around, especially with its card. The target market for this is most directly Apple enthusiasts, and I think it is meant to be appealing to those who are in the “Apple Ecosystem”. The ecosystem comprises of all Apple products, from Apple TV, their laptops/computers, phones, and watches. Now the new element being introduced revolves around tackling the services sector, which they have never been really apart of. I think this is a smart and interesting move by Apple, especially considering its competition has been providing products and services (primarily Google/Microsoft). My concern with this service would be its integration to the Apple Wallet. If their Wallet goes down, would that mean your card would be ineffective in making a purchase or paying a balance? Ultimately, I think this service will blend in with the market well, but not stand out. Apple having too much say in the payment space is a bit worry some. They built their own APIs in safari for payments which is a real crumby thing to do considering a standard was being built in parallel. I’m sure they can make good experiences but I don’t really trust them to think beyond Apple. Since I am not a regular apple user, things like this typically have a knock on effect that is negative for me. Though this is a really nice card. 2% back every day, no foreign transaction fees, simple use and budget tracking all are very attractive features. I know exactly zero cards out there that can do all of this with no annual fee to tack on. With very simple sign up process I can imagine every second Apple user will sign up for it the day it is released. And by promoting Apple Pay more customers will start using it and more merchants will get onboard. Apple offering a titanium engraved credit card is the perfect definition of the company. It is going to be interesting to see how many people make the switch to the “Apple credit card.” In terms of its offerings, nothing stands out that much from traditional credit cards. The only funny thing is that Apple will offer 3% back at its stores. I am also interested in seeing if other competitors start changing their platforms around to compete with Apple’s interface since that seems like the main selling point. I think Apple implement a very strategic tactic. The no fee policy and the Apple brand is a great motivation for people to sign up. The 2% cash back for apple pay purchase and the 3% is for purchases from Apple are going to encourage these consumers to keep buying Apple products and using Apple card. I also think that. While the 1% cash back for all other purchase is low, there are not many other cards that offer higher with 2 other high cash back options. With the Apple brand and 3 cash back options, I think Apple will succeed in their credit card venture. Apple Credit seems to be a popular release by the company. Apple is already has some of the most secure devices and software in the world. Therefore, launching a credit card service provides them the appropriate credibility. Moreover, partnering with already existing banks and credit card services shows that they are committed to growing the brand the correct way. 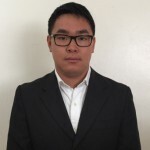 I would definitely invest in a credit card with this company especially with the instant cash back that they provide which separates them from other credit card companies. I recently saw their advertisement for this card. This is a huge success for Apple to create their own credit card. It is not game-changing, however, it will strengthen their brand. Apple is all about their shared environment between their products. 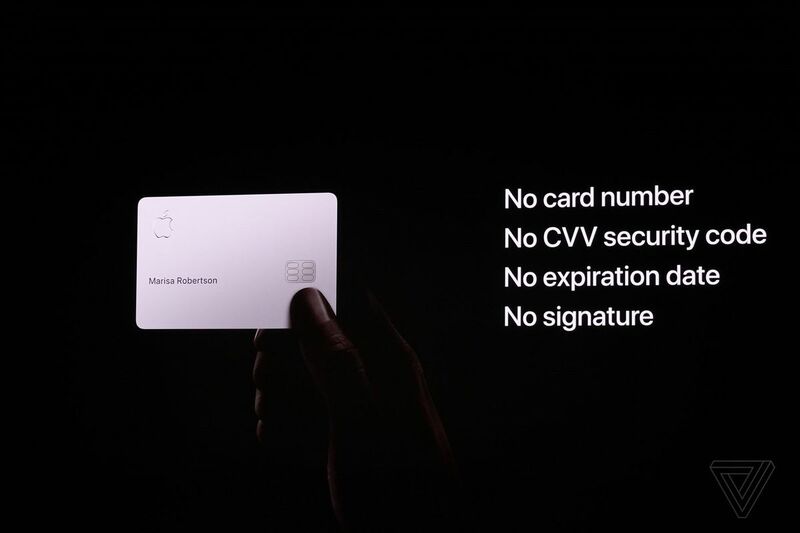 Many people will sign up for this card just to have that Apple logo. It’s exciting to see Apple expand within the financial industry. I wonder what they have in store next. Will they invent something new or just re brand products we use in our everyday lives.